Blocking!! I can’t wait to share it! 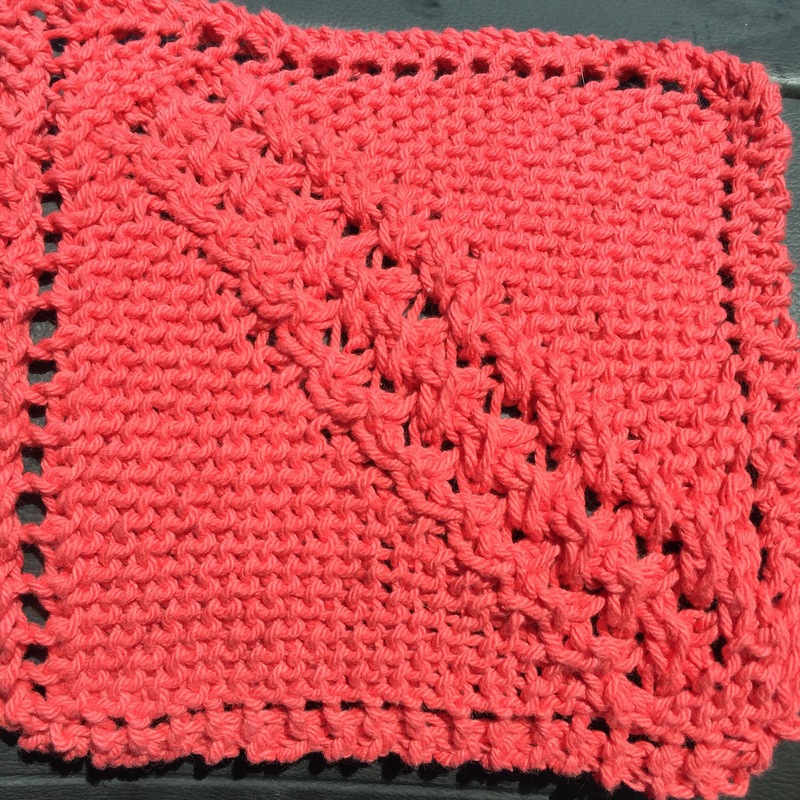 I am completely in love with this pattern and yarn. 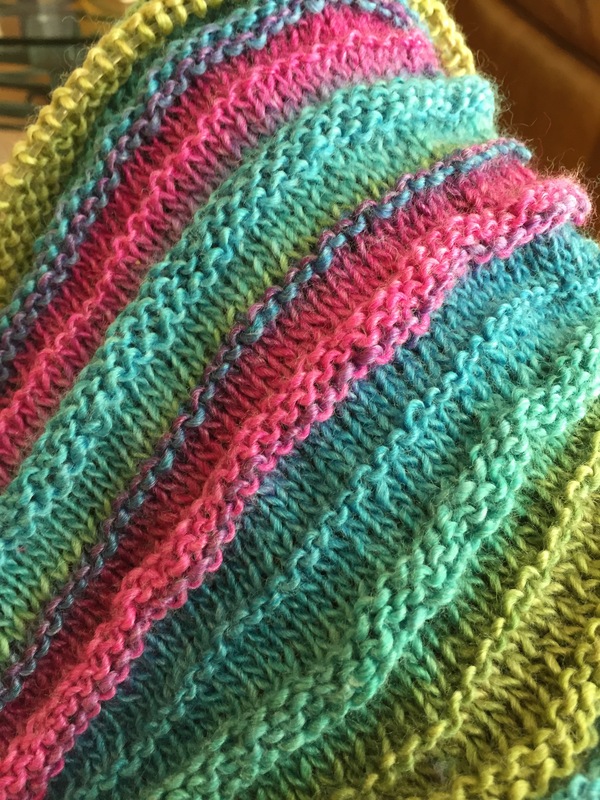 The yarn is so soft and the color changes keep me interested. 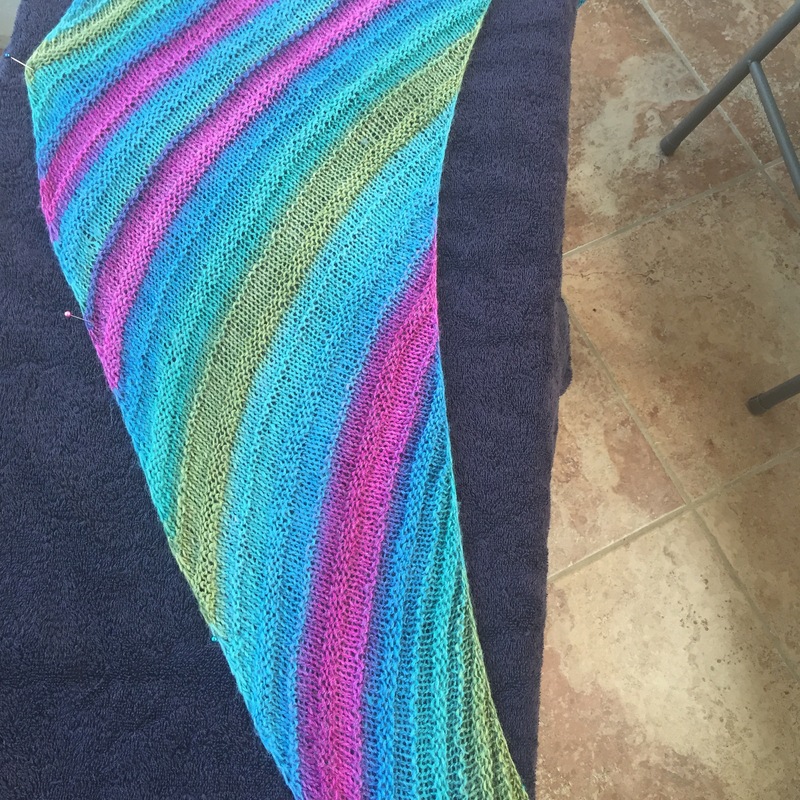 However, based on the remaining yarn, I am almost done with this shawl. 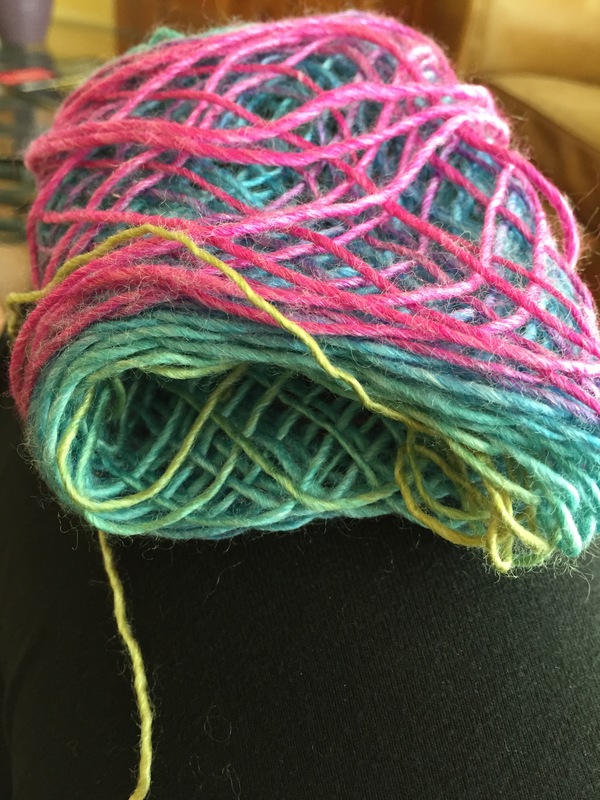 I can’t wait to see what it looks like once it comes off the needles! To say out one, lone plum tree is very happy would be a huge understatement!! It is becoming impossible to keep finding new ways to use them all up before they go bad! 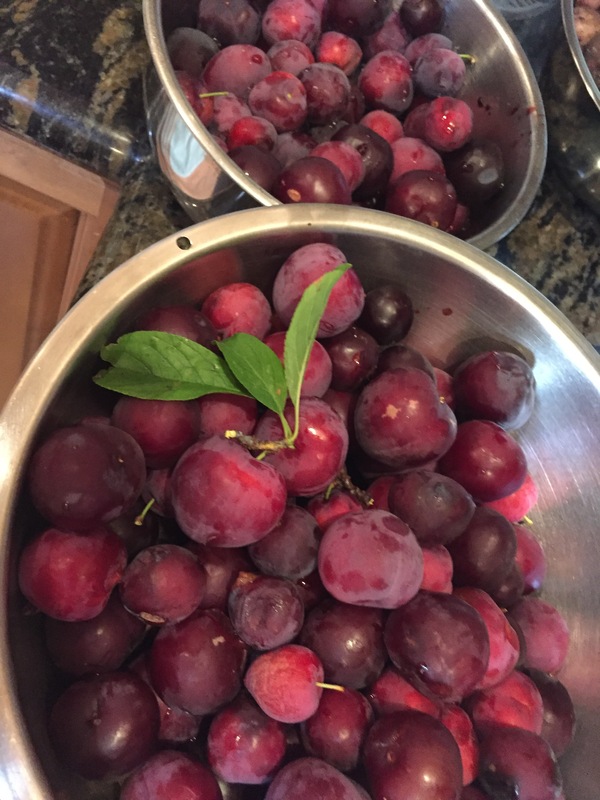 Two huge bowls of plums just two days ago. It seems that we are pulling this many in every other day! I have been baking up a storm!! 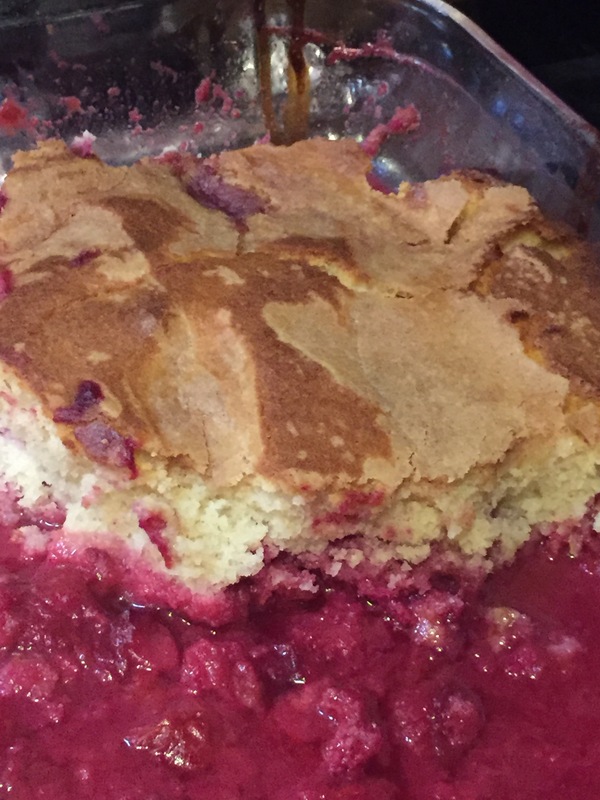 Plum Buckle-uses 7 cups of chopped plums. 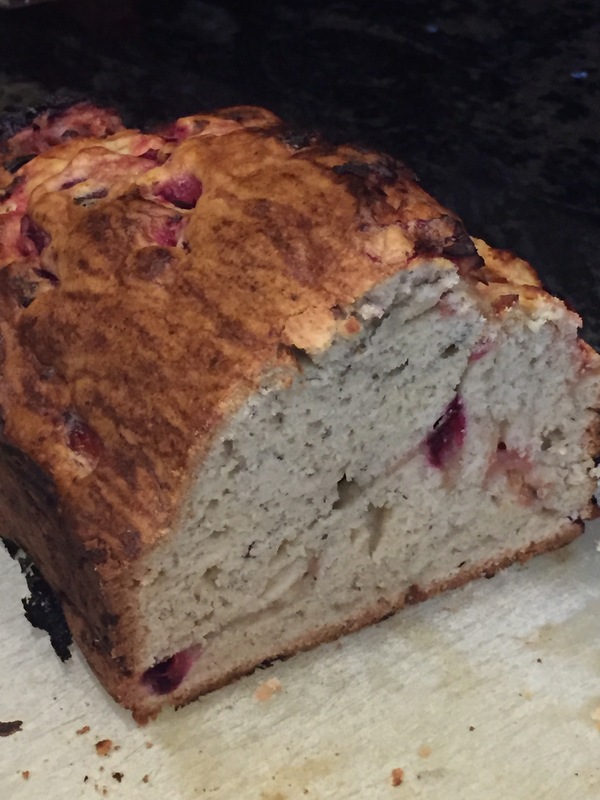 Both these recipes went over extremely well with the family. The Buckle lasted just under 24 hours and the bread disappeared in an afternoon! Yummy!! Well…back to the yard to pick more plums! 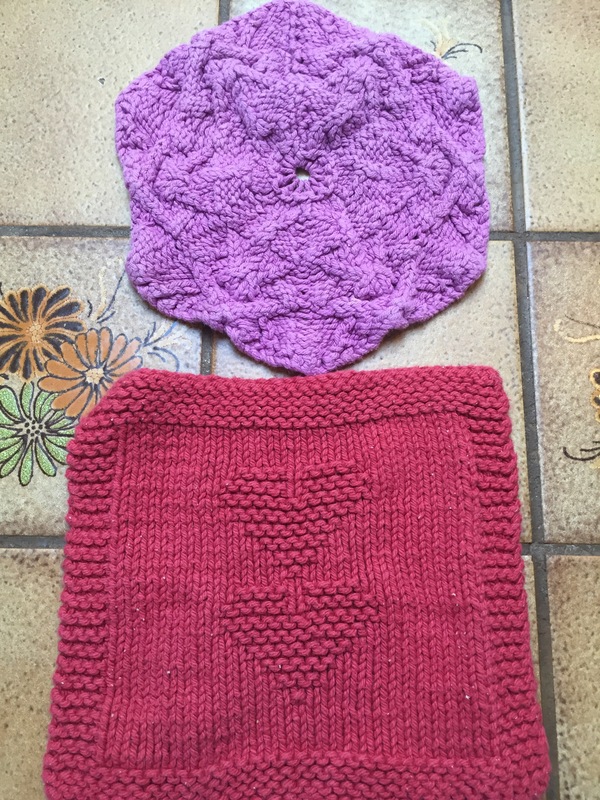 As I was putting all the old dishcloths in the rag bin, my 14yo decided two of them just couldn’t be retired. She picked these two out of the pile and put them back in the linen closet. I have to agree with her, I like them too! My oldest daughter decided to organize the linen closet. 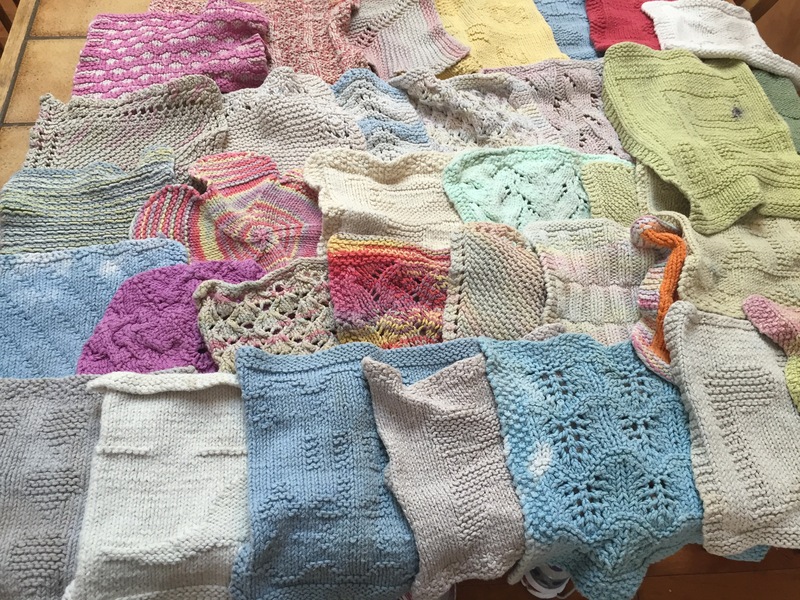 She came to me with a stack of dishcloths and said that there were too many. These we decided were too stained to keep using I the kitchen so they now live in the rag bucket. Many more years of service for them! 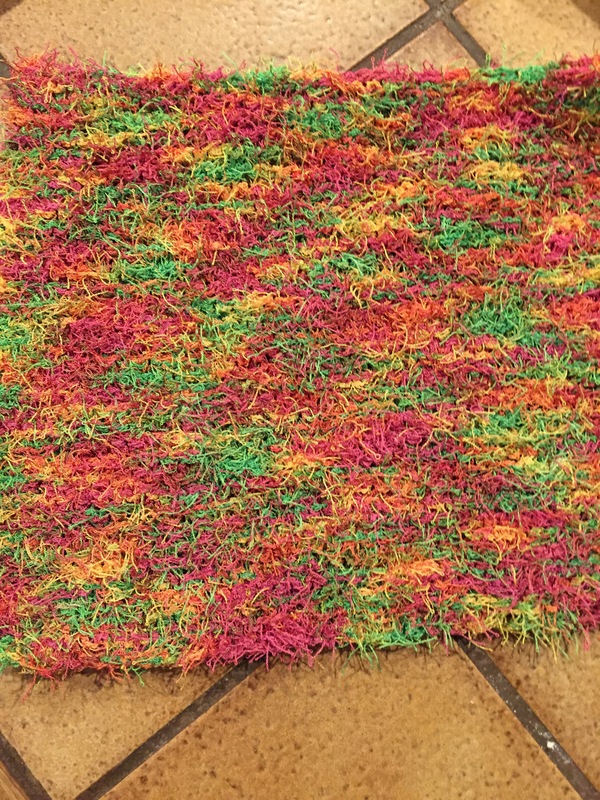 This was so fun and easy to knit! Isn’t it pretty?! 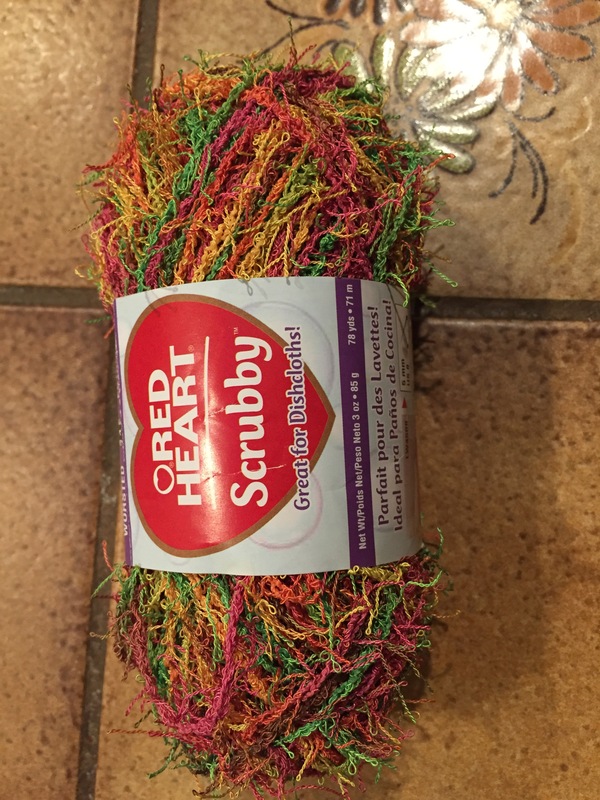 It’s a little scratchy which is perfect for washing dishes.